A Cornish renewable energy company has expanded its business up country. Natural Generation, which celebrates its tenth anniversary this year, has marked the occasion by opening a satellite office in Bristol. Natural Generation installs and maintains a range of wind, solar, biomass and heat pump technologies. 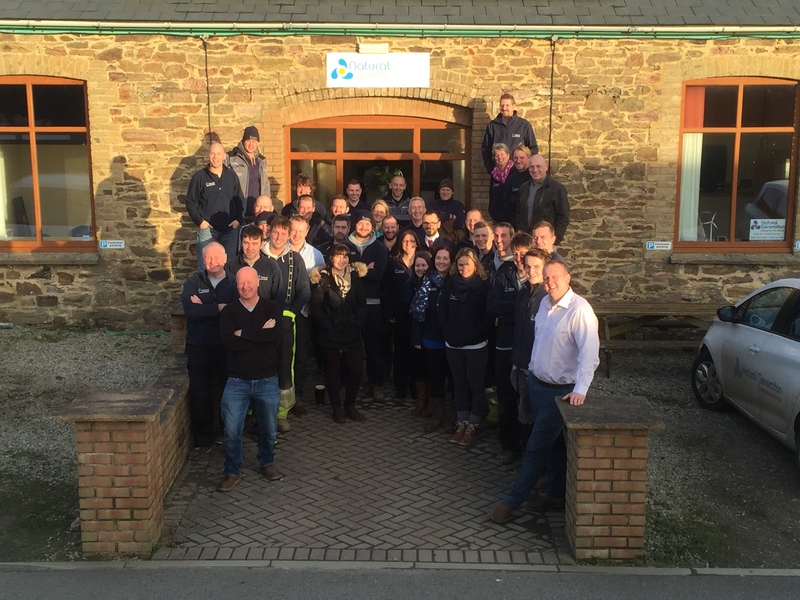 Over the past ten years it has grown to become one of the leading renewable energy companies in the south west and now employs close to 40 staff. Commenting on the expansion, MD, Ivor Thomson, said: “Our maintenance work is growing week on week and we have contracts across the UK. Natural Generation, which currently looks after 100 MW of green energy across the UK, has also been hiring new staff. “We’ve just taken on three new members of staff and are currently advertising for a new wind turbine apprentice to join our other three apprentices.